The Greens leader has challenged Turnbull and Shorten to 'show leadership'. Greens leader Richard Di Natale renewed calls for a comprehensive audit of the citizenship statuses of all Federal Members of Parliament on Tuesday after Senate President, Tasmanian senator Stephen Parry, informed the government that he may be a British citizen. Appearing on the ABC's '7.30' program, Di Natale told host Leigh Sales that he suspects Parry will not be the last Federal MP to reveal their dual citizenship and called for the audit of all current politicians at the national level to "deal with it in one hit". "It is really time now for the Prime Minister [Malcolm Turnbull] and Opposition Leader [Bill Shorten] to show some leadership," he said. "We need to just end this, we need to end what's going on here. The way to do it is to have a comprehensive audit of the status of all MPs just to ensure if there is anybody else there who is a dual citizen, we deal with it." As part of his calls, Di Natale said that he believes the audit should be undertaken by an independent body that could come to a result within a month in order to clearly outline the Federal politicians eligible to serve in the Parliament. "You want to keep it separate from politics, you want it done professionally. You could do it through the Independent Parliamentary Expenses Authority and empower them to conduct it," he said. "You'd only need a small number of lawyers -- a senior bureaucrat could knock it over inside a month and we'd know very clearly who was eligible to stand." 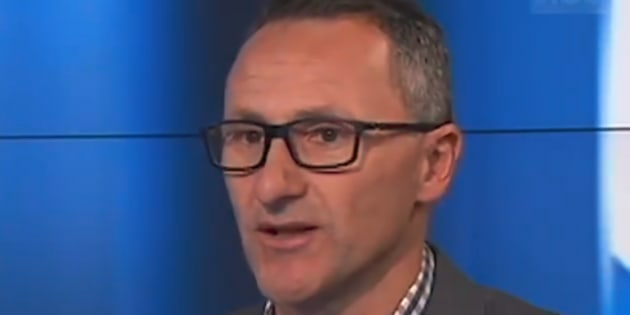 The Greens leader's demand is not a unique call for an audit of MPs and comes after five out of seven Federal politicians were ruled ineligible to sit in the Parliament by the High Court of Australia on Friday as per section 44 of the Constitution, which bars dual citizens from holding office. Former Deputy Prime Minister Barnaby Joyce along with Fiona Nash, Malcolm Roberts, Larissa Waters and Scott Ludlam were all ruled out from Federal political representation, however Nick Xenophon and Matt Canavan were deemed safe. The Coalition's loss of Joyce in the Parliament means it has now lost its majority in the Lower House, and on Tuesday night Di Natale said that without an audit, damage is being done to the government and to the public perception of Australian politicians. "I think it is doing untold harm, not just to the Government but I think to people's respect for politicians, because people within the system need to act with integrity if people are going to have faith in democracy. That's not happening at the moment," he said. "My message to [Federal MPs] and more personally to the Prime Minister and Opposition Leader, and I will be writing to them to support the Greens' call for a full audit, is to show some leadership. Show some leadership, stand up. "The cards will fall where they fall but the time has really come for us to put an end to this. We are entering, I think, constitutional crisis territory. This is bad for democracy and bad for governing here in Australia. We need to sort it out and sort it out quickly." With Barnaby Joyce Gone, The Turnbull Government Has Lost Its Majority. For Now.